Today it is my HONOR to post on my website, that one of the greatest men who ever lived would have turned 100 years old today. Nelson Rolihlahla Mandela (July 18, 1918 to December 5, 2013) was a nonviolence anti-apartheid activist, politician and philanthropist who became South Africa’s first black president from 1994 to 1999. Becoming actively involved in the anti-apartheid movement in his 20s, Mandela joined the African National Congress in 1942. For 20 years, he directed a campaign of peaceful, nonviolent defiance against the South African government and its racist policies. Beginning in 1962, Mandela spent 27 years in prison for political offenses. In 1993, Mandela and South African President F.W. de Klerk were jointly awarded the Nobel Peace Prize for their efforts to dismantle the country’s apartheid system. You know – if you really look into history, this was truly a great man. He spent 27 years in PRISON for Political Offenses – then got out, became President, and was awarded the Nobel Peace Prize. What a great example, of someone, who after 27 years in a Prison, was able to come out – and change the world. Let’s continue to learn, inspire, love, and make 2018 one of the Best Damn Year’s to be alive. NEVER GIVE UP – and MAY GOD ANSWER YOUR PRAYERS. LIVE LONG AND PROSPER !!! Rick and Morty VR is being rated one of the funnest games of all time. Greetings in April – where is my spring weather? You know how the sun feels warm on your neck, but your hands still cold because of the breeze? Yep – bring more of that! It feels like this year will be a milder summer – not reaching so many records – not until August anyway. Personally things have been getting rough – some areas are improving, others are still lacking. Really though my overall well-being and health are increasing. That’s mostly what I have been putting time into. I have been giving serious thought into continuing my education. Just like that new song, don’t worry about the past, just have the time of your life. Also I am humbled by all the good happening around me – not sure if it helps me, but I am waiting on Karma with a wad of it somewhere. Anyway – back to Rick and Morty. My favorite animated show currently – the first episode about the Mulan Fry Sauce made me laugh so hard man – I swear that show is just insanely cool. I can relate to it on so many levels. Can’t wait to see the entire season. So the VR game is possibly the most funnest game ever made for the Oculus Rift or the HTC vibe. 500 bucks – I am looking into investing in one of these – soon – fry sauce. Happy Lunar New Year 2017 ! HOW’S IT GOING IN 2017 ?? Find the strength to build a better life for your family! According to the Chinese calendar, the year 2017 is the year of the Fire Rooster. The Chinese people say that this year people will be more polite and less stubborn, but they will have the tendency to complicate things. As Asian people see it, the year 2017 is a year dominated by the orientation towards progress, honor and maximum integrity, people learning to temper their ardor. This year, the natives of the year of the Rat are going to enjoy many happy events, including financial success, and the natives of the year of the Ox will enjoy unexpected success and unforeseen events. Overwatch has a Chinese New Year event ! In Chinese philosophy, fire (Chinese: 火; pinyin: huǒ) is the prosper of the matter, or the matter’s prosperity stage. Fire is the second phase of Wu Xing. Fire is yang in character. Its motion is upward and its energy is expansive. Fire is associated with Summer, the South, the planet Mars, the colour red (associated with extreme luck), hot weather, daylight, and the Vermilion Bird (Zhu Que) in the Four Symbols (which is associated with a red phoenix in Western culture). Let’s make this year count !! This year his theory of gravitational waves were detected therefore proving Einstein’s theory. He figured it out in 1916, and 100 years later – we verified he was right. Why should we care about gravitation waves? What about energy? There are many other discoveries just around the corner. We have just touched the surface on the transformation of energy. We know the world has two geographic poles, the polar N and S. That is earth’s magnetic field at play. Imagine a massive magnet bar inside of the Earth, and you will get an idea what Earth’s magnetic field is shaped like. Now earth does NOT have a giant bar magnet inside it – but it does have a field made by rotating swirling motion of molten iron around Earth’s outer core. So we have the North Pole and the South Pole. The world also has two magnetic poles: the North Magnetic Pole and the South Magnetic Pole. The magnetic poles are near, but not exactly in the same places as the geographic poles. So two different things, a geographic pole and a magnetic pole. The needle in a compass points towards a magnetic pole. The compass needle points pretty much due North unless your in the Southern Hemisphere – it points South. However, if you are near either pole, the compass really becomes useless. It just points to the magnetic pole, NOT the TRUE geographic pole. Our magnetic field is also tilted a little bit. So on an angle of about 11°, it is no guess that the magnetic poles and the geographic poles are not in the same place. I will note the magnetic poles actually move around. The spinning motions of the our planet’s magnetic field, the swirling motions, are changing all the time. The magnetic field is actually changing, therefore the magnetic poles move. In the 1800s the poles moved an estimated 5.6 miles per year. For some reason, after 1970, they started moving faster. Recently they are moving around 25 miles per year. The Northern and Southern Lights happen near the magnetic poles because of the charged particles (protons and electrons). While our magnetic fields and energy are fluctuating – our Universe continues to expand. Our world is constantly moving, vibrating, and traveling in circular patterns. A proven fact is all forms of matter contains an underlying energy of vibration. In fact, everything in the universe is vibrating – from the atom, the molecule, even the seed or a rock. Vibration exists in every living thing. Energy. It never dies. The constant rate of vibration determines the energy form. Slow vibration manifests as a rock, fast vibration is the wind, and very vast high vibrations register as sound or music. Here is the kicker – thoughts and feelings make our atoms vibrate – so they are also energy vibrations. Even our nervous system consists of tiny ion pumps that maintain an imbalance flux of the inside and outside of the nerve cells. Changing patterns inside our body when a nerve cell fires, energy is allowed to suddenly flow through the cell membrane. With every breath – your heart is beating to love, and a myriad of oxygen and nutrients flow to the nerve cells in the body to pump ions. We also contain forms of chemical energy like fats and sugars. When our central nervous system creates electrical energy – we lose an equal amount of chemical energy. So, rather than being energy, life is all about this moving energy – transforming it – from one form to another. Just like magnets – positive attracts positive – and our thoughts, feelings, words, and actions produce vibrating energy, our atoms, which in turn desire other like energies. Negative energy is also magnetized to other also negative vibrations. We must then, instead of reacting to all the energy around us – we must create it from the energy within, and focus on your attention to what you want to attract. Higher vibrations consume and transform lower ones. Therefore, we have the power to change the conditions in our lives by learning how to utilize our thoughts and emotions (our energy). When you give to a charity, or give up your time – using your energy positively, it will be converted and returned to you. Maybe not right away – but the energy will be sent out and transformed – and come back you. As we all know – for every action is an equal and opposite reaction. If we give, we will receive. Our energy will be transformed and converted. In my experience, nothing is closer to the truth. March 28 is the 88th day of 2016, in leap years on our Gregorian calendar. Many great things have happened in our history on the 28th day, and today we highlight one of them. Honoring the men who made our history the greatest – among them is Mr. Heinrich Wilhelm Matthias Olbers – who discovered the asteroid Pallas. When Pallas was first discovered by the German astronomer Heinrich Wilhelm Matthäus Olbers on March 1802, it was counted as a planet. As was most of the other asteroids discovered early in the 19th century with our primitive telescopes were thought to be planets, it was an amazing find. However the discovery of many more asteroids after 1845 eventually led to their reclassification of just an asteroid (just like how Pluto was demoted after further telescope advancements). Pallas, among minor-planet designation 2 Pallas, is the second asteroid to have been discovered, and it is one of the largest asteroids in the Solar System. With an estimated 7% of the mass of the asteroid belt, it is the third-most-massive asteroid, being 10–30% less massive than Vesta. We learn lots about humanity in our history. This is very fascinating for us, as we ponder what other great discoveries will come in the next ten years with technology and computing power nearly doubling every year or so. Make sure you cherish every single moment of this year, and look up to the stars when you find yourself soul searching. First television transmission was February 9, 1928. We see this number come up, as the energy once again comes together to make the impossible, possible. Creater of the television, thenumber28 honors Mr. John Logie Baird today by reminding the world of his invention. The thing we all have in our homes, was designed by a great thinker, a visionary, with a spark of luck and painstaking work. His insight and genius inspires us. Google has also commemorated this day with a doodle today. Here is some info about this man and his vision. Ninety years ago today a moving head on a screen made history. It was the first public demonstration of live television. The mechanical television, also known as “the televisor” worked a bit like a radio, but had a rotating mechanism attached that could generate a video to accompany the sound. It preceded the modern television, which creates images using electronic scanning. In 1924 Baird managed to transmit a flickering image across a distance of 10 feet and the following year, he had a breakthrough when he achieved TV pictures with light and shade. Within two years this flicker was the face of a woman who was in a different room. The historic 1926 public display took place on January 26, in a lab in Soho in front of members from the Royal Institution and a journalist from the Times. Although the pictures were small, measuring just 3.5 by 2 inches, the process was revolutionary. “The image as transmitted was faint and often blurred, but substantiated a claim that through the ‘televisor,’ as Mr Baird has named his apparatus, it is possible to transmit and reproduce instantly the details of movement, and such things as the play of expression on the face,” wrote the reporter from the Times after the demonstration. As innovative as the demonstration had been, the journalist wasn’t convinced that it would take off. “It has yet to be seen to what extent further developments will carry Mr Baird’s system towards practical use,” they wrote. Still, that was better than the reaction of the Daily Express newspaper who, when Baird approached them with the invention in 1925, kicked him out. Following his demonstration in 1926, he developed colour TV and brought out the world’s first mass produced television set in 1929. In September last year, an anonymous donor stepped in to prevent a recording of Baird’s first transmission of transatlantic television pictures being sold to private collectors overseas. The materials, which include a disc featuring what has been described as one of the world’s earliest surviving video recordings, are now stored at the University of Glasgow along with much of the Scottish inventor’s other work. An asking price of £78,750 was put on the “treasure trove” archive and an export bar was placed on the lot to see if any British buyers would step in. The purchase of the collection was made possible with the financial support of a businessman from Baird’s hometown of Helensburgh, Argyll and Bute, who wished to remain anonymous. The recording and radio log books, used by assistant Benjamin Clapp, contain the world’s first-known use of the acronym TV. The donor, who wanted to remain anonymous, said: “[The collection] charts such an important period of modern engineering history, so I felt it could not, and should not, leave these shores to move abroad. It needs to be shared for future generations. The phonovision shellac disc, dating back to September 20 1927, is the world’s oldest-surviving 78rpm video recording and features pictures of Stookie Bill, the ventriloquist’s dummy Baird used when developing his revolutionary mechanical scanning broadcasts. It was recorded during his transatlantic television trials but was not actually transmitted until February 9 1928, marking one of Baird’s earliest television broadcasts. The University of Glasgow already owns a vast collection of Baird’s work. He was a student at the university from 1914, studying engineering. He cut short his studies when he tried to voluntarily sign up for national service in 1915 but was turned down on health grounds. Who was John Logie Baird? Baird was a Scottish engineer and inventor born in 1888 in Helensburgh, Scotland. He was the youngest of four sons of a clergyman. From 1914 to 1915, Baird was a student at the University of Glasgow, reading engineering. He cut short his studies when he tried to voluntarily sign up for war duties in 1915, but was turned down on health grounds. Baird went on to dominate TV innovation for three decades. After the 1926 display, Baird continued to develop the mechanical TV and in 1927 he transmitted content across a 438 mile long telephone line between London and Glasgow. He went on to set up the Baird Television Development Company, which produced the first transatlantic broadcast and the first live transmission of the Epsom Derby. Amazon is stepping up their GAME in the gaming community. Wow. It’s unclear what had caused the Google-Twitch deal to fall through, but one possible reason is over antitrust issues. Since Google already owns YouTube, the world’s largest video streaming site, acquiring another massive video streaming site like Twitch could raise antitrust issues.According to Forbes, the two sides couldn’t agree on the potential break up fee. Wow check out this new Supra at the Detroit motor show! 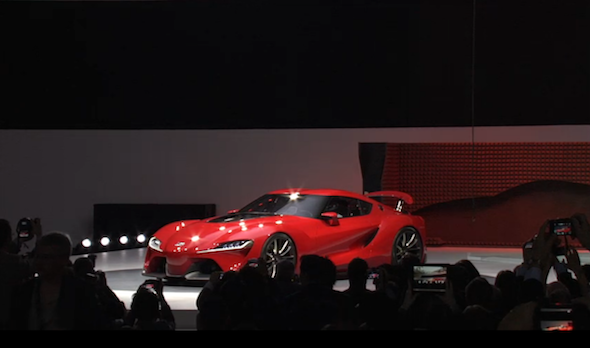 Toyota has stunned crowds at the Detroit motor show today with this astonishing concept, the FT-1. In case you were wondering, yes, this is the new Toyota Supra, (we’re almost certain! 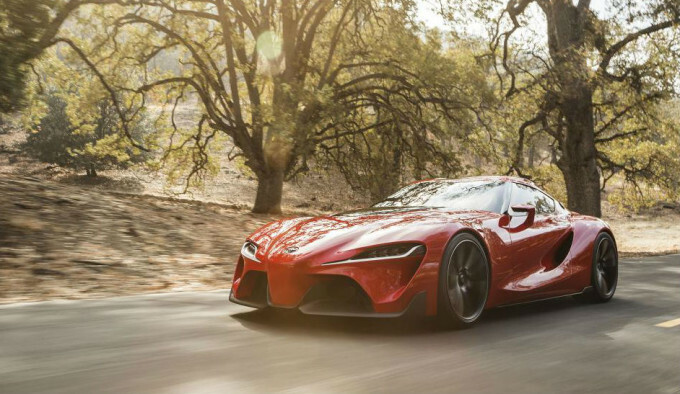 ).The FT-1 references Toyota’s sports car history through its design language, with the front engine, rear-wheel drive layout allowing the cockpit to sit further back, also aiding weight distribution. It aims to give the driver excellent vision, thanks to the 2000GT-inspired wraparound windscreen.That attitude follows into the cockpit design, which “capitalises on the car’s low centre of gravity”. 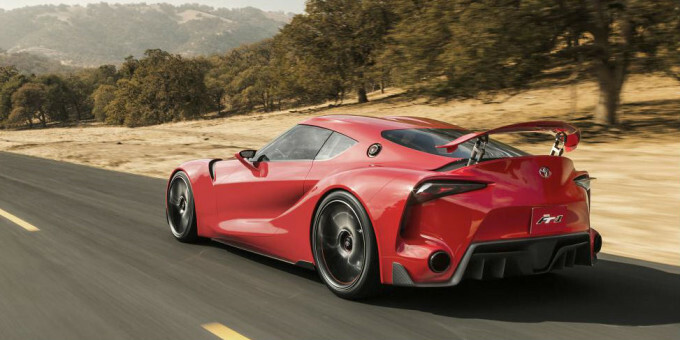 The FT-1 references Toyota’s sports car history through its design language, with the front engine, rear-wheel drive layout allowing the cockpit to sit further back, also aiding weight distribution. It aims to give the driver excellent vision, thanks to the 2000GT-inspired wraparound windscreen. That attitude follows into the cockpit design, which “capitalises on the car’s low centre of gravity“. There’s a Formula-1 style steering wheel, while a colour head-up display allows the driver to keep their eyes on the road at all times. The exterior looks like a steroidal version of the FT-86 concept that spawned the GT86. This car gets flared front wings, large air intakes and exhausts, and a huge retractable rear wing. There’s a Formula-1 style steering wheel, while a color head-up display allows the driver to keep their eyes on the road at all times. The exterior looks like a steroidal version of the FT-86 concept that spawned the GT86. This car gets flared front wings, large air intakes and exhausts, and a huge retractable rear wing.